Real clients, real stories, real results. RG Hotels has been able to deliver outstanding results to various types of hotels worldwide. These clients have witness the success that RG Hotels and its various products have accomplished to help them outperform their competitors. Many of our clients have received the HSMAI Revenue Manager of the Year and/or General Manager of the Year. Fifty-Four Boutique Hotel is a traditional Edwardian town-house in London’s fashionable Kensington. A fusion of classic architecture and urban chic. Our guests find a quiet sanctuary from the hustle and bustle of London where they can relax in comfort. The 26 rooms and suites are decorated in contemporary style with modern sandstone and black granite bathrooms with chrome power showers. Gilchrist & Soames, Neal’s Yard toiletries and Egyptian cotton bed linen add to the luxury. All rooms have air-conditioning, a modern ensuite bathroom, free Wi-Fi internet access and a flat-screen television. In the heart of South Kensington, the hotel has easy access by tube allowing you to explore all of London but with an overnight escape to this elegant, quiet haven for a restful nights sleep. Set in the 10th arr., this stylish hotel in a stone building is a 6-minute walk from Place de la République metro station and 3.3 km from the Cathédrale Notre-Dame de Paris. Bight, airy rooms feature wood floors, minifridges and en suite bathrooms. All rooms also come with flat-screen TVs, free Wi-Fi, and tea and coffeemaking equipment. Adjacent to a Cococino National Forest hiking trail, this low-key hotel, set in 3 adobe-style buildings, is a 4-minute drive to downtown Sedona. The casual rooms and suites have basic decor and include flat-screen TVs with premium cable channels, free WiFi and coffeemakers. Some rooms have balconies, patios and jetted tubs. 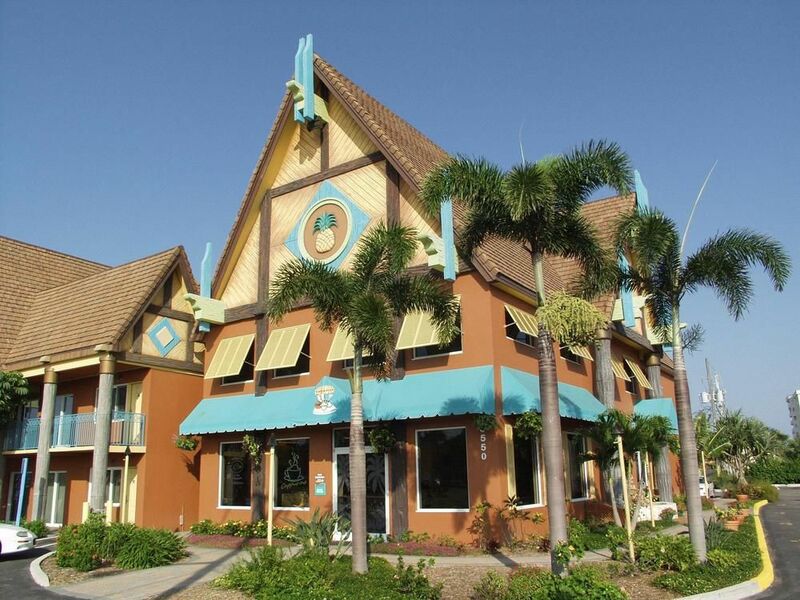 Complimentary breakfast is served daily and there's an on-site restaurant serving gourmet Mexican cuisine. There are 2 seasonal outdooor pools with hot tubs, and a shaded patio area with tables and chairs. The lobby has computers and printers for guest use. Parking is free, with room for RVs and buses. Located in the heart of Banff National Park, a UNESCO World Heritage Site, the world famous Fairmont Banff Springs hotel stands as a landmark in the picturesque alpine town of Banff, Alberta. Canada's "Castle in the Rockies", has been providing legendary hospitality to our guests for more than 125 years.Fairmont Banff Springs is a year-round luxury mountain resort that offers a championship golf course during the summer, unparalleled skiing in the winter, the award winning European-style Willow Stream Spa, and authentically local dining experiences. The winter home of golf legend Arnold Palmer, the Bay Hill Club & Lodge is renowned for its championship golf course, site of the PGA TOUR’s Bay Hill Invitational. 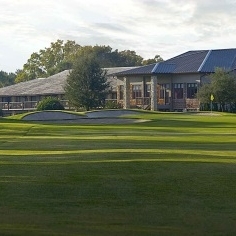 The Club is private, but as a lodge guest, you are entitled to play where the pros such as Tiger Woods play at one of the top ranking courses in the state, according to Golf Digest. You’ll also enjoy the outstanding amenties of this world famous resort. These include the salon, spa, and fitness center; two restaurants, a café and lounge; six tennis courts; a junior Olympic-size swimming pool; the Arnold Palmer Golf Academy and more. BYD is a boutique hotel unlike any other resorts in Patong Beach, offering a full experience of sophisticated style, comfort, privacy, tranquility, and a first class international dining is available all around Patong beach. It’s unique atmosphere is a first-choice for many travelers visiting Phuket Island. Housed in a 1960s building, this sophisticated hotel is 0.9 miles from the National Mall and 1.2 miles from the Capitol building. The warmly furnished rooms and suites offer free Wi-Fi and flat-screen HDTVs. Some offer views of the Capitol building. Suites add minifridges and microwaves. Fitness and business centers are open 24 hours. There's a restaurant serving American cuisine, as well as a seasonal outdoor pool with a poolside bar and lounge. Shuttles to major local landmarks are complimentary. This modern apartment hotel is 2 km from the Museum of Art of Puerto Rico, and 6 km from the 16th-century Castillo San Felipe del Morro. Polished suites and 1- and 2-bedroom apartments feature living rooms, kitchens and whirlpool tubs. All come with flat-screen TVs, DVD players and Wi-Fi access. Upgraded apartments offer extra space and additional bathrooms. Complimentary amenities include cooked-to-order breakfast, as well as tapas, cocktails and a beach shuttle. A rooftop area features a pool, a hot tub and a bar. Urban Retreat is in the heart of the central business district. Awarded best boutique hotel, best hotel pool, and best rooftop in Phoenix for the past 5 years. Rooftop sundeck overlooks city skyline and surrounding mountain ranges, a great place to watch the sunset or to relax with friends. Known by locals as being run by friends and family who truly care about your experience, not just at the hotel, but in Phoenix. Overlooking the Port of Split on the Adriatic Sea, this stylish hotel is 6 minutes' walk from the 4th-century Diocletian's Palace and 9 minutes' walk from Bačvice beach. Fashionable rooms have colorful, contemporary decor, and provide minibars, free Wi-Fi and flat-screen TVs, as well as iPod docks and safes; most have sea views, while some add balconies. Suites provide living rooms with pull-out sofas. Kids age 15 and under stay at no charge with an adult. A complimentary breakfast buffet is served in a chic restaurant. There's also a 24/7 lobby bar and a cigar lounge/bar. The spa offers a sauna, a hot tub and a gym. Il Salviatino is a stunning and perfectly hand restored 15th century villa that lies proudly on the hillside of Fiesole, with inspirational views of Florence and the rolling Tuscan landscape. A magical place offering perfect service and experience blended with the grandeur of the setting. A truly unique experience, a way to enjoy and be a part of both Florence and Tuscany that cannot be imitated. Set in a restored Victorian townhouse, this elegant, upscale guesthouse is an 11-minute walk from the Royal Pavilion, and 13 minutes' walk from both the Brighton Wheel and Brighton Pier. The chic rooms offer flat-screen TVs and iPod docks, plus free WiFi. Upgraded rooms add Nespresso machines, 4-poster beds and/or sea views. Complimentary cooked breakfast is served in-room or in the refined lounge. Surrounded by coconut palms and overlooking Phang Nga Bay, this upscale beach resort is 8 km from Manoh Pier for ferries to Phuket. Featuring bamboo walls and rustic natural furnishings, the refined, open-air rooms provide free Wi-Fi, desks, minibars and Nespresso machines. All have fans and balconies; 1- and 2-bedroom beachfront villas add air-conditioning and sitting areas. There's also a nearby tented lodge with a private beach. Freebies include breakfast and parking, as well as loaner bikes, kayaks and snorkeling equipment. There's a restaurant and a bar, both with sea views, plus a spa and an outdoor pool. Yoga and local tours are offered. "We needed a hotel management company with a very innovative approach and that was focused specifically on driving revenue. RG Hotels has definitely come through on their promises, with an overall boost of more than 400% in the property’s revenue in six months." 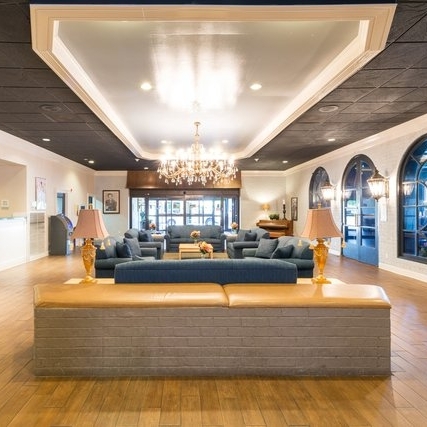 This laid-back hotel off a multi-lane road is 2 miles from both Graceland and Memphis International Airport, and 7 miles from the Beale Street historic district in downtown Memphis. Warmly decorated rooms come with free Wi-Fi and flat-screen TVs, as well as minifridges, microwaves and coffeemakers. Kids age 16 and under stay in a parent’s room at no charge. Continental breakfast, parking and an airport shuttle are complimentary. There’s also a fitness room and a seasonal outdoor pool. Guest laundry facilities are available. 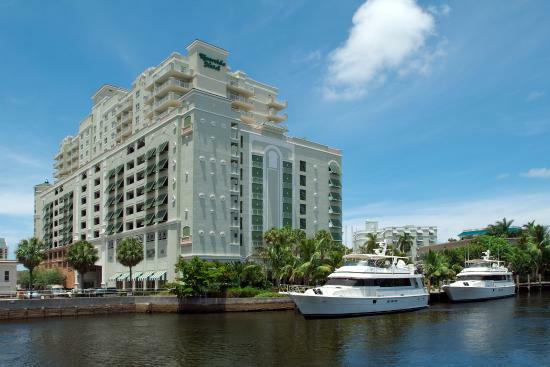 "RG gives you a big comfort level that a machine can actually gather that intelligence and ensure you are making the right pricing decisions"
In keeping with its fashionable Coconut Grove address, the Mayfair Hotel & Spa is a stunning departure from conventional Miami hotel accommodations. The urban boutique hotel was designed by the iconic Miami architect Kenneth Treister, creating an artistic retreat with inspiring accommodations and exclusive amenities. The Jurlique Spa offers body treatments and massages. The spacious guest rooms and suites envelop you with natural light and Art Deco inspired décor. Stone floors and marble bathrooms with Roman spa tubs are complemented by opulent details including Egyptian cotton bedding, sea-grass furnishings and hand-carved mahogany headboards. Chic, airy and fresh, our thoughtfully appointed Miami, Florida accommodations provide an elegant sanctuary. Overlooking the mountains, this relaxed hotel in a redbrick-and-stone building dating from 1908 is a 4-minute walk from the Whyte Museum, dedicated to the Rocky Mountains, and 2 km from Cave and Basin National Historic Site park. The warm, relaxed rooms and suites have free Wi-Fi, flat-screen TVs and sitting areas. Some offer mountain views. Suites add separate living rooms and wet bars. 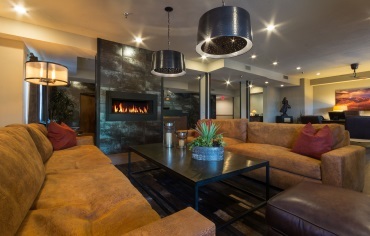 Dining options include a Canadian restaurant with communal tables, a rib shack, and a cozy lounge with a fireplace. There's a hot tub and a sauna, and parking is complimentary. The O Hotel the first independent boutique establishment in Downtown Los Angeles, perfect for urbanites, out-of-towners and business travelers alike. This historic 1920s building was completely refurbished down to the smallest detail for its launch in September 2007. Replenish your mind and body after a hectic day on the town amid the hotels all-modern amenities, elegant flair, sophisticated lighting, fine furniture and exotic floral arrangements. An increase in overall RevPAR of 15%. A 4-minute walk from South Beach, this retro-inspired boutique hotel in a 1938 art deco building is also a mile from the Miami Beach Convention Center. The refined rooms are decorated with vintage-style furnishings, and feature free Wi-Fi, flat-screen TVs and minifridges. Suites add soaking tubs, and sitting areas with sofas.Continental breakfast is complimentary. There's a terrace with seating, and a sophisticated lobby lounge. "They've definitely played a big part in our success over the past few years." Trump International Beach Resort is a world of indulgent pleasures waiting for you on the shores of beautiful Miami Beach. 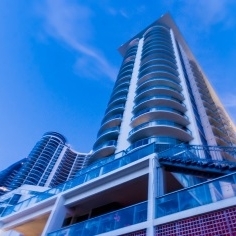 Ideally located in the exclusive enclave of Sunny Isles, this Miami Beach hotel masterpiece, rises as a striking landmark to luxury amidst the white sands of Miami Beach. In 2012, The Trump International Beach & Resort was handpicked out of hundreds of hotels to be nominated for two awards from HSMAI. Marty Bussey for the title of Revenue Manager of the Year and Susan Boone for Sales & Marketing Professional of the the Year. "It is not taking anyone's job, it is just making yours more efficient"
The Wakulla Suites Cocoa Beach is in close proximity to several must-see places. Among these are the Alan Shepard Park, Kennedy Space Center, Walt Disney World, Universal Studios, Gatorland, Port Canaveral and the Brevard Zoo. All suites at the Wakulla Suites Cocoa Beach have two bedrooms. These units also come equipped with full kitchens, living areas, breakfast nooks, cable televisions and private bathrooms. The property provides a selection of Standard Suites, Courtyard Suites, Pool Side Suites and Pool Side Suites.